Our solid log pool enclosures are ideal for new and existing pools up to 25 x 12.5 m, and give you every opportunity to enjoy the Norwegian Log Effect™ throughout the year. 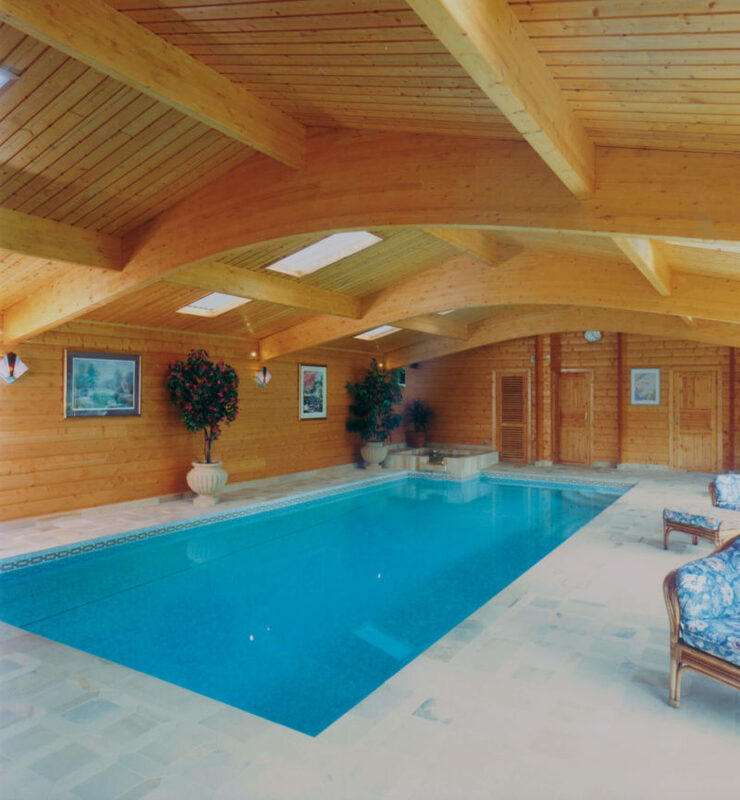 What’s more, our pool houses are very competitively priced compared with conventional brick or sectional glass structures. 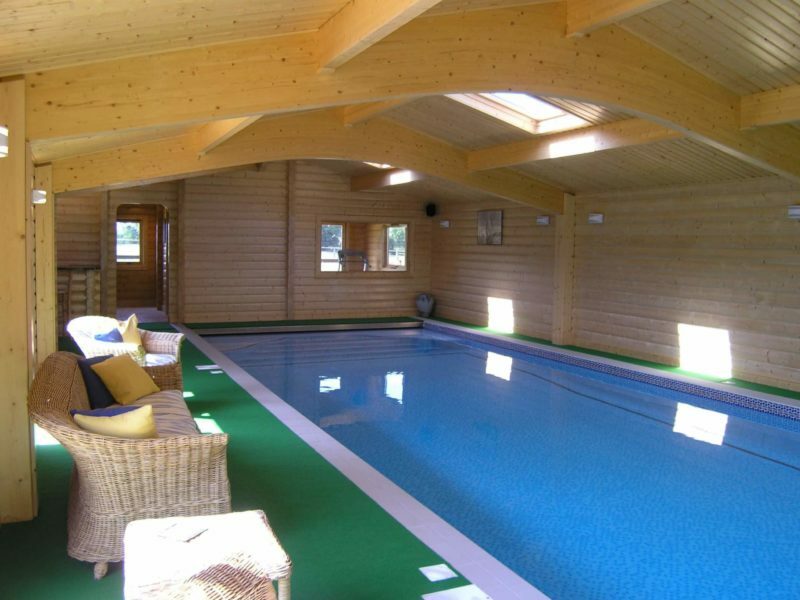 Our swimming pool buildings start from only £88,000, with complete pool/building packages from just £193,000. We have co-operated closely with many public bodies, schools, charities, etc., as well as private clients, on designing pools to meet specific requirements. Take advantage of our experience and let us help design a facility that will meet your budget and needs. 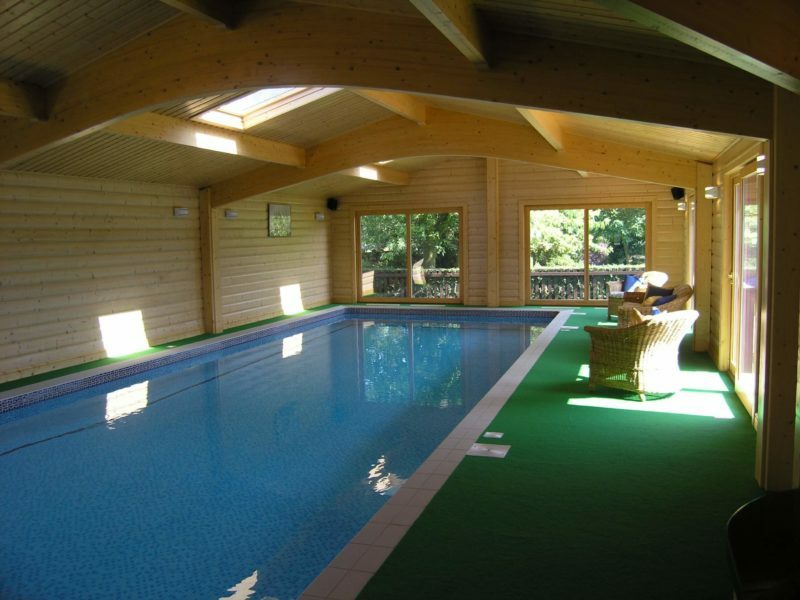 We install our wooden swimming pool buildings much faster than conventional brick or glass structures can be built. And with minimal disturbance to your site. 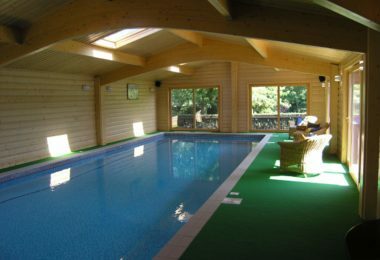 Our log technology can also enable us to install pool houses on sensitive sites or sites with difficult access, because we make minimal use of heavy machinery. Our pool enclosures enable you to enjoy your pool whenever you wish, whether you are installing a new pool or enclosing an existing one. 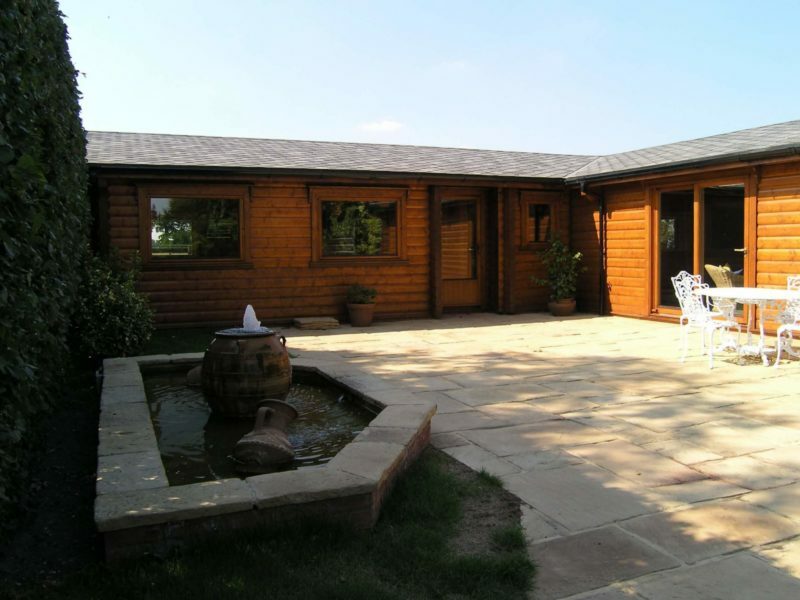 Log’s high level of natural insulation and our draught-free construction technology mean the thermal efficiency of our pool houses is much better than that of sectional glass. It compares very favourably with many other construction methods, and helps minimise energy costs and condensation. 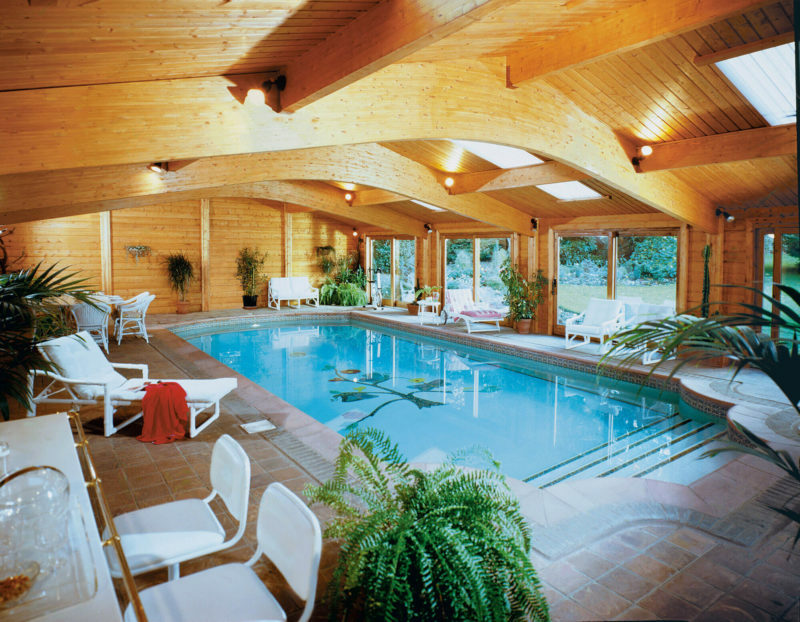 Furthermore, our pool enclosures have an indefinite lifespan with only minimal maintenance. This keeps your running costs low and preserves the value of your investment. 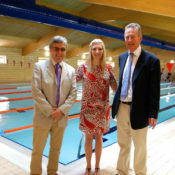 Swimmer-friendly environment The friendly, tactile log surfaces in our pool buildings provide a warm, welcoming and echo-free environment that makes swimming the pleasure it should be. 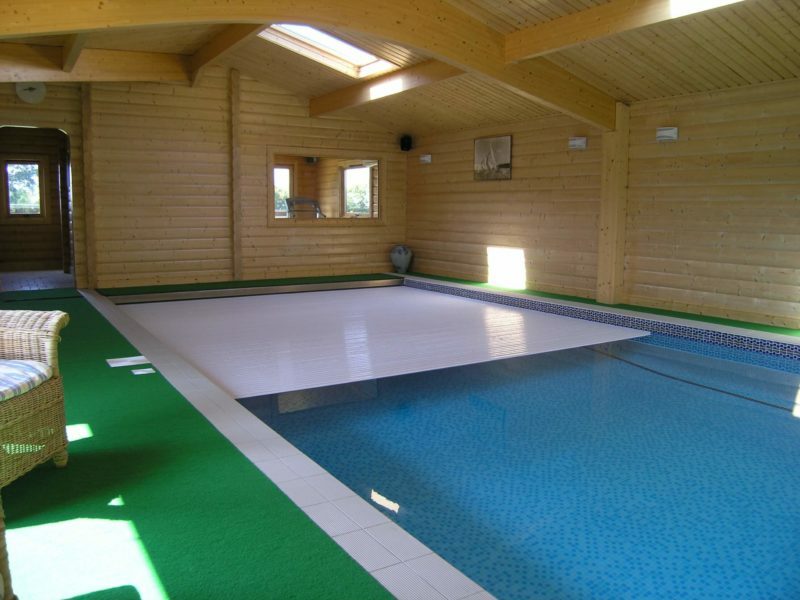 Our pool enclosures are also ideal for hydrotherapy at home as well as in special schools, hospices, etc. 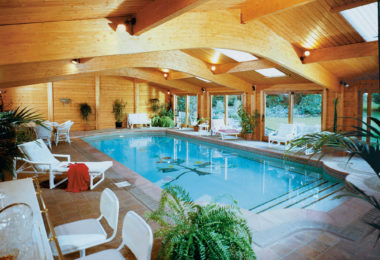 Do you provide indoor pool packages with layouts and prices? Yes. Please contact us for our brochure and price list. 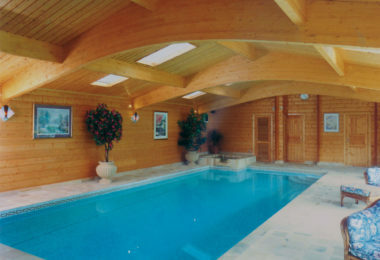 I require a large pool with a spa, sauna, gym and snooker room. Is there any limitation on size? 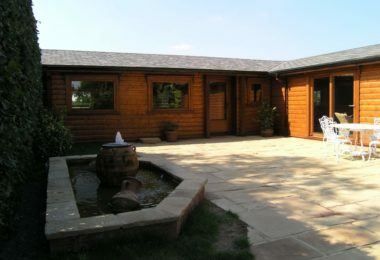 We manufacture each building individually to your specific requirements, and there are no limitations on size within reason. 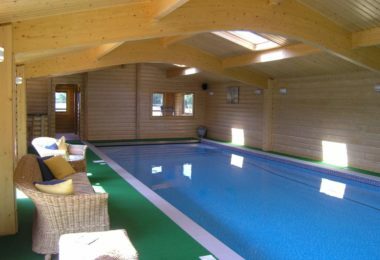 Can I cover my existing outdoor swimming pool with a Norwegian Log pool enclosure? Yes, you can in most cases. “We use it every day now because it’s a pleasure to go into. 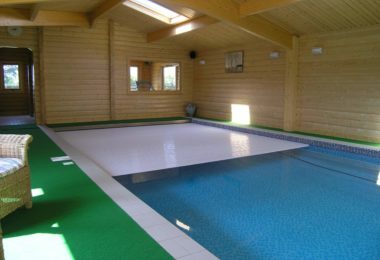 It just looks beautiful and, as the floor is non-slip, I don’t have to worry about the children when they have pool parties." To start discussing your swimming pool building, please contact us to make an appointment with one of our experts.